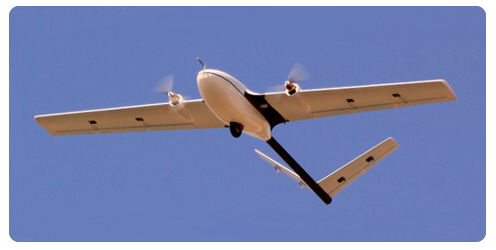 The AMORES LandScope UAV is a small fixed-wing unmanned aerial vehicle, primarily used for aerial photography, which is an ideal solution to simpler remote sensing tasks thanks to its cost-efficient design. 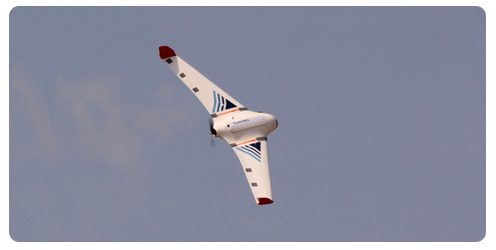 The AMORES Observer UAV is a middle sized fixed-wing unmanned aerial vehicle capable of landing on unprepared terrain thanks to its special design, expanding the scope of possible applications and simplifying the work of the operating personnel. Its flexibly configurable on-board system with replaceable containers is capable of transmitting HD quality live footage or other high speed data, allowing execution of demanding aerial observation and measurement data collection tasks. Multispectral camera, thermal camera, etc.